​Studio 19 Centre for Performing Arts offers a variety of programs that can accommodate everyone. 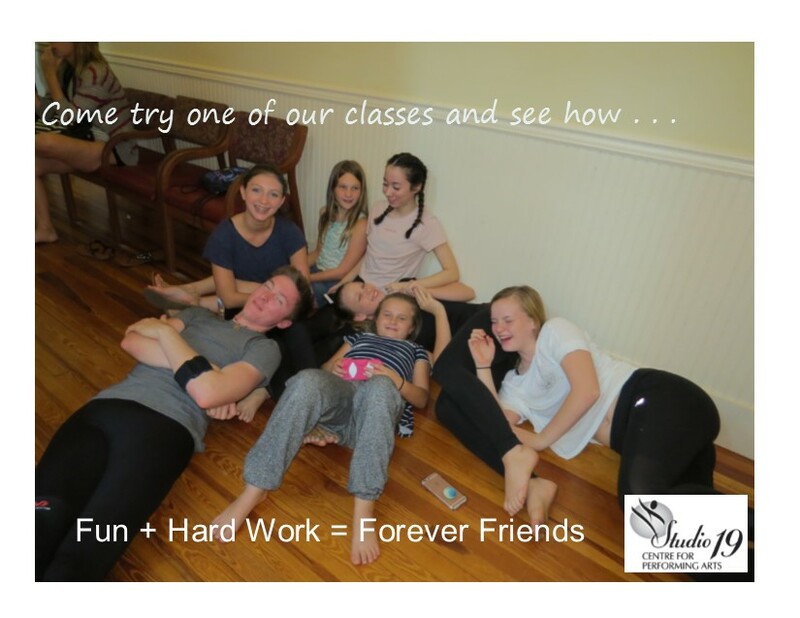 From the recreational to the pre-professional dancer, our studio provides stringent classical dance training that builds dancers with a strong technical foundation while encouraging creativity, and building friendships through the shared experience of performance. For students interested in musical theater, we offer vocal classes and periodic acting classes to supplement your dance training. Whether you choose one of our more rigorous training programs, choose to register for a ballet, modern/contemporary, tap, jazz, or hip-hop class, or purchase a Dance Card and drop-in on any age/level appropriate classes, we welcome you as part of our studio family and look forward to your progress as you develop physical agility, mental acuity and enhanced self-esteem through the discipline of dance.